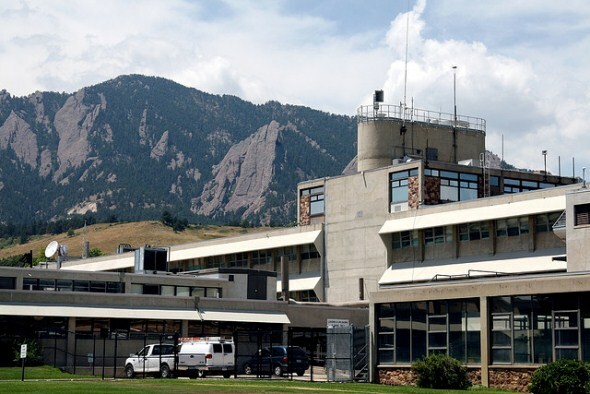 The National Institute of Standards and Technology, or NIST, originally known as the National Bureau of Standards, came to Boulder in 1954, bringing the clock by which all clocks in the country were set. NIST scientists’ latest “quantum logic clock” uses quantum information processing techniques on a single ion of aluminum so that the clock does not gain or lose more than one second in about 3.7 billion years. NIST’s measurements and the standards resulting from them include magnetic data storage, the reliability of materials, nanotechnology and superconductivity. The agency was called in to study the factors contributing to the collapse of the World Trade Center towers. For information about public tours, call (303) 497-4789 or send an email.